Rumor: Mother 3 Coming to Nintendo Switch's Virtual Console | Nerd Much? 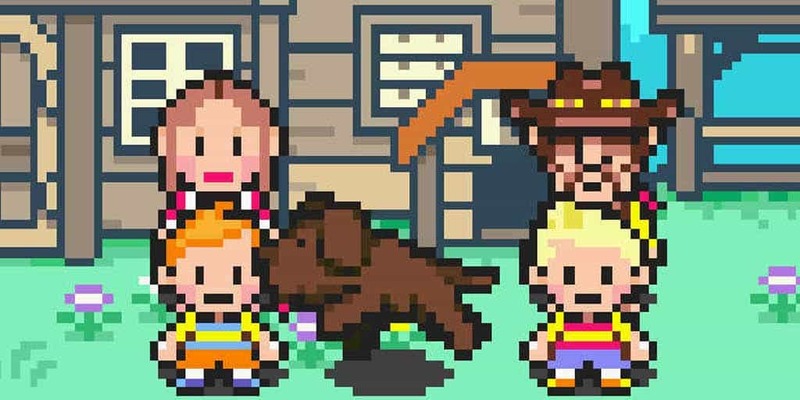 Rumors for Mother 3‘s localization for the West are not exactly new this year, but it seems like the sources are becoming increasingly reliable. A reputable source (confirmed by Eurogamer) from LetsPlayVideoGames tweeted that her sources stated Mother 3 is in development as a Virtual Console title on the Wii U and Nintendo Switch. This will likely be in order to celebrate the 10th anniversary of Mother 3‘s release date in Japan, which is a promising coincidence. According to Laura Dale, we should expect an announcement at next week’s Nintendo Switch event. So it looks like we’ll be looking forward to more confirmation on rumors we’ve already heard about the Switch. The Mother/Earthbound series has been gaining popularity with the included main characters of Ness and Lucas in Super Smash Bros., much to the excitement of long time fans of the game. So much so, that it finally got Mother 1 out on the Wii U’s Virtual Console in 2015. Hopefully, this means that Mother 3 can make it to the Switch on the Virtual Console. This would certainly convince fans of the series to buy the console for this reason alone, so they could play their favorite game without having to dig around for a used console. It’s certainly enough to make me cautiously hopeful that maybe Nintendo will allow this somewhat R-rated game onto its family console. The company did, after all, advertise the Switch with Skyrim, even if that might not be a thing according to Bethesda who obviously wasn’t pleased with the mistake. Do you think this rumor has any credence? Would you like to see Mother 3 on the Switch? Let us know in the comments below! Stay tuned to the latest in gaming news at NerdMuch?